More than ever, effective leadership requires us to work as a team, but many leaders struggle to get the results they need. When stakes are high, you can't get great results by just changing what you do. You also need to change how you think. Organizational psychologist and leadership consultant Roger Schwarz applies his 30+ years of experience working with leadership teams to reveal how leaders can drastically improve results by changing their individual and team mindset. 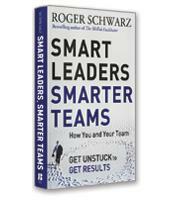 In Smart Leaders, Smarter Teams, author Roger Schwarz argues that many leaders fail today because they cling to the leadership approach of what he calls unilateral control. This approach will be familiar to most: The leader makes the decisions, and the others obey. Effective leaders, writes Schwarz, reject the unilateral control approach in favor of a mutual learning approach. 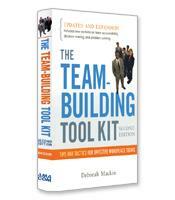 With this approach, leaders and the other members of the team join together to learn, decide and act as one cohesive unit. Leadership is transferred to the whole team and not just one commander. "I understand the situation; those who disagree, don't." "I have pure motives; those who disagree have questionable ones." "My feelings and behavior are justified." Not surprisingly, according to Schwarz, the behavior engendered by this mindset is hardly constructive. Some examples of this behavior: withholding relevant information; speaking in general terms and not agreeing on what important words mean; keeping reasoning private and not asking others about their reasoning; controlling the conversation; and acting on untested assumptions and inferences as if they were true. The result of the unilateral control mindset, writes Schwarz, is lackluster team performance, strained relations, and less individual well-being. "I have information but so do other people." "Each of us sees things others don't." "Differences are opportunities for learning." Stating views and asking genuine questions. Focusing on interests, not positions. As expected, the result of such behavior is better team performance, better working relationships and greater individual well-being. In addition to individual behavior, Schwarz shows how the mutual learning mindset can guide the design of the team — its structures and processes — to ensure the best results. The power of Smart Leaders, Smarter Teams is not just the breadth of Schwarz's insight but also the depth and clarity with which Schwarz describes each issue. 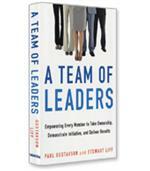 The general theme of Smart Leaders, Smarter Teams may be familiar. Schwarz, however, has written a book on new leadership that is exceptionally practical and applicable. Smart Leaders, Smarter Teams is not filled with exemplary anecdotes of what others have done; instead, the book concentrates — in detail — on the specific values, assumptions and behaviors that leaders must accept and adopt if they are to be successful.